On Saturday, Sep 22, 2018, an important meeting will be held by the Organization of Iranian American Communities (OIAC) in the United States in advance of the UN Summit (September 25th) and the Security Council meeting (September 26th). The title of this meeting is “The Path to Freedom-The Alternative”. The meeting is aimed at introducing and recognizing the democratic alternative to the Iran regime, the National Council of Resistance of Iran (NCRI) and supporting the protests and uprisings of the Iranian people, which began in early 2018, with a clear demand for “Regime change” in Iran. It should be recalled that the Iranian people are tackling a dire economic situation and 80% of the people of Iran are living under the poverty line. While the criminal Mullahs are spending all the Iranian national wealth in Syria, Yemen and…. for their expansionist policies and terrorist goals. He was born on May 28, 1944, in Brooklyn, New York, worked as a private attorney and with the U.S. Department of Justice. He later won the New York City mayoral race as the Republican candidate in 1993. He stayed in office for two terms, taking a tough view on crime while becoming a divisive figure because of his handling of police abuses and racial issues in cases. He later unsuccessfully campaigned for his party’s presidential nomination in 2008. Giuliani was also recognized for his focused leadership in the aftermath of the terrorist attacks that felled the World Trade Center in New York City on September 11, 2001. He later started his own security consulting firm and worked with Donald Trump during the 2016 presidential campaign, before joining the president’s legal team. USMC (Ret.) is the interim Chairman, Atlantic Council, Chairman, Scowcroft Center for Strategy and Security. He has spent his life serving and protecting America and American ideals. As the former commander of US European Command and Supreme Allied Commander Europe, he led all military operations for NATO and later, as national security advisor, he brought clear vision and steady leadership to America’s mission in Iraq, the war in Afghanistan, and the country’s interests around the world. He is the co-founder of Mйdecins Sans Frontiиres (MSF) and Mйdecins du Monde. From 2007 until 2010, he was the French Minister of Foreign and European Affairs in the center-right Fillon government under president Nicolas Sarkozy, although he had been in the past a minister in socialist governments. 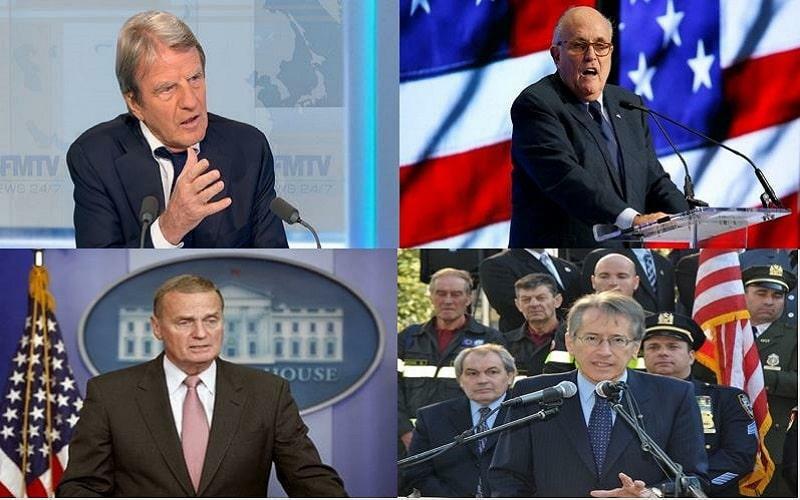 In 2010, the Jerusalem Post considered Bernard Kouchner the 15th most influential Jew in the world. Since 2015 Kouchner is workstream leader for the AMU (Agency for the Modernisation of Ukraine), where he contributes his expertise in healthcare. He was Italy’s Minister of Foreign Affairs from November 2011 until March 2013. Mr. Terzi joined Italy’s foreign service in 1973. During his first two years at the Ministry of Foreign Affairs in Rome, he served as a protocol officer assigned to visits by Italian government officials abroad. In 1975 he was posted as first secretary for political affairs at the Italian embassy in Paris. After returning to Rome in 1978, as Special Assistant to the Secretary General, he was in Canada as Economic and Commercial Counselor for almost five years, a period of sharp growth in economic and high-tech cooperation between Italy and Canada. He was Consul General in Vancouver during Expo 86, where he promoted major events for Italian businesses and culture on Canada’s Pacific Coast.